You may have heard about Tacoma as a museum town, with a nationally recognized museum district at its heart. 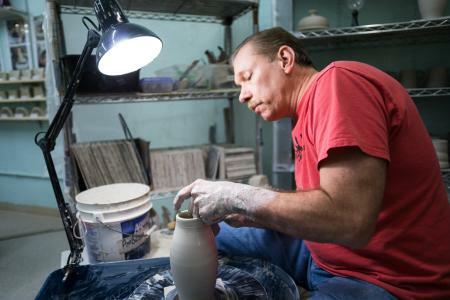 The city is populated by talented craftsman, and has been attracting artists and artisans for decades. In fact, the city was recognized as one of only 13 Etsy Makers Cities this year. Creativity and inspiration beat a palpable pulse throughout Tacoma’s neighborhoods when crafters, artists and dreamers do what they do best, create and share stories through their medium. That’s why once a year in October, the city opens up everything from studios to artists&apos; personal homes, to welcome those who love to see, hear, touch and make art. Tacoma Film Festival. The 11th annual event will share the best in lively, independent film. Oct. 6-13, various times at The Grand Cinema and other locations. Studio Tours (Oct. 15-16) – The word of the day for this part of Tacoma Arts Month is “interactive.” While all 34 studio tour stops throughout the city give attendees the chance to appreciate the masterful works there, most of them also have opportunities for attendees to become participants, creating their own works to take home and display. From throwing pottery to folding origami to creating their own comic book, attendees will get first-hand appreciation of the work of the 57 participating artists. Museum District strolling: Arts Month isn’t a bad excuse to check out Tacoma’s Museum District, discover the leaders in the contemporary African American arts , dive into the ocean deeps, and revisit the Northwest indie music scene. Shape a glass pumpkin paperweight with help from the Hilltop Artists. Oct. 1 and Oct. 29, 10 a.m.-5 p.m., Museum of Glass Hot Shop. Compete in a scavenger hunt, exploring urban art and history with this interactive game played through your phone. Oct. 8, 1-3:30 p.m.
Drop in on scribes and storytellers of local literature. The Creative Colloquy Crawl features ghost stories, poetry and pints, visual narration and more at nine downtown venues. Oct. 5, 6-9 p.m.
See future stars debut at the Tacoma Film Festival. The 11th annual event will share the best in lively, independent film. Oct. 6-13, various times at The Grand Cinema and other locations. Visit artists on their home turf (literally!) during the studio tours. With 57 local artists participating, you’ll want this guide to plan your custom tour. Oct. 15-16, 11 a.m.-5 p.m. Enjoy art and nature at a progressive dinner through three Metro Parks venues. Visit with local artists, sample tasty food and make new friends on the shuttle ride. Oct. 20, 6-9 p.m. Dress up the kids (in costume!) for the Tacoma Youth Symphony concert. Musicians will be in costume as they perform songs from Star Wars, Bugs Bunny cartoons, The Lion King and more. Oct. 29, 7 p.m.
See a show at a venue you haven’t visited before. 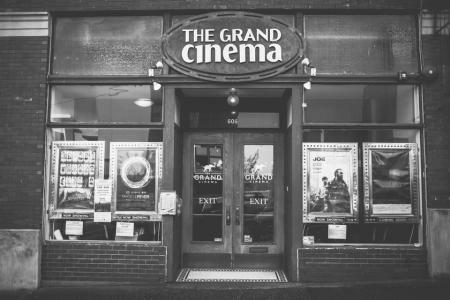 Tacoma Musical Playhouse, Pacific Lutheran University, The Grand Cinema, University of Puget Sound and Tacoma Little Theater have performances and events planned during Tacoma Arts Month. Check our events page to find out about all the other events going on throughout October. As the Vice President of Marketing, Jaime Vogt is fortunate enough to have spent most of her life living in the beautiful South Puget Sound She loves checking out the amazing food and spirits scene that has been growing in Tacoma and its surrounding cities.